In 2017 I set about changing my life. It’s been a hell of a big year for travel, food, going to gigs, starting this blog, starting to work freelance, and lots more besides. Here’s just some of the highlights of my 2017 in food & travel in pictures. Downtown Osaka was soooo colourful! 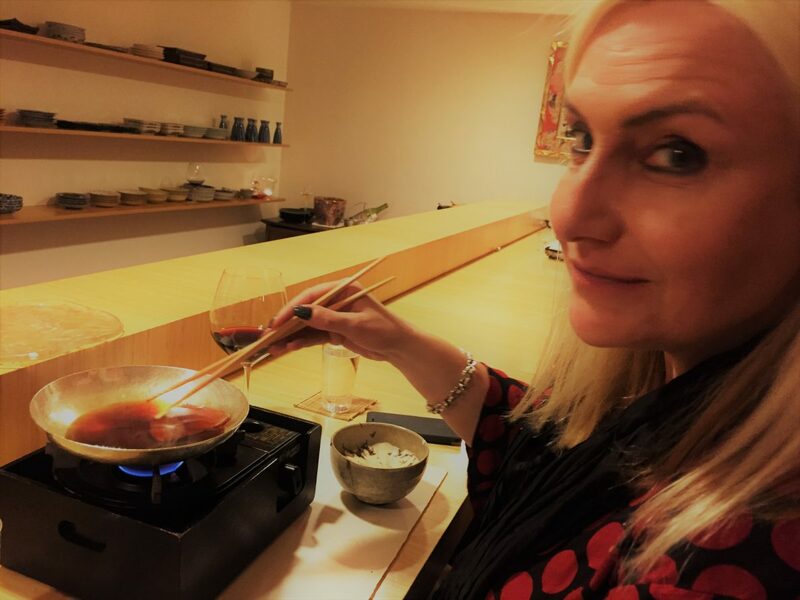 3 Michelin Starred Restaurant Kanda in Tokyo, Japan, for my big milestone birthday! I had a fab view across the city while hoovering up this matcha green tea ice cream cone at Nissei Ice Cream Parlour at Tokyo Tower. The soft matcha ice cream came in a choice of three different strengths! I got a bit obsessed with the surreal world of Japanese kitkats! My favourite fado bar in Lisbon’s Barrio Alto district. I’ve been coming here nearly 20 years! No pictures for May, I was far too busy launching this blog!! And I tried Brighton’s Choccywoccydoodah café’s signature chocolate cake! In October I made my first fabulous trip to Vietnam. Is that a look of foodie glee, or a fixed smile of fear, as I try the snake wine in a shop in Saigon? It was very cold, so I really enjoyed the mulled wine in Bath Christmas market! The Guinness is good in Galway! So, wow, what a year it’s been! And on New Year’s Eve I saw it out staying at Tom Kerridge’s fabulous Hand and Flowers in Marlow – the UK’s only 2 Michelin starred pub. I’ve never stayed in a hotel room with its own Christmas tree before, let alone a real tree! Nor one that leaves you a hamper on the bed with a nighttime flask of Tom’s recipe fresh malted milk. What a wonderful start to 2018! HAPPY NEW YEAR everyone! !